Below you fill find all funeral homes and cemeteries in or near Mankato. Mankato is also known as: Jewell County / Mankato city. Zip codes in the city: 66956. Jewell County funeral flowers can be purchased from one of the local funeral shops we partner with. Some of the notable people born here have been: (guy c. omer), (ernest tippin), and (howard reed). It was revealed on March 7th, 2019 that Ina Lorraine Rightmeier (Love) died in Mankato, Kansas. Ms. Rightmeier was 89 years old. Send flowers to express your sorrow and honor Ina Lorraine's life. It was written by Hastings Tribune on February 26th, 2019 that Richard L Sr Utter passed on in Sutton, Nebraska. Utter was 81 years old and was born in Mankato, KS. Send flowers to share your condolences and honor Richard L Sr's life. It was written on February 21st, 2019 that Boyd Lynn Scarrow died in Mankato, Kansas. Scarrow was 77 years old. Send flowers to express your sorrow and honor Boyd Lynn's life. It was written on December 6th, 2018 that Phyllis Kay Rothchild (White) perished in Mankato, Kansas. Ms. Rothchild was 64 years old and was born in Superior, NE. Send flowers to share your condolences and honor Phyllis Kay's life. It was noted on November 29th, 2018 that Phyllis Kay Rothchild (White) passed on in Mankato, Kansas. Ms. Rothchild was 64 years old. Send flowers to share your condolences and honor Phyllis Kay's life. It was disclosed on October 25th, 2018 that Sandra "Kay" Elkins (Berry) perished in Mankato, Kansas. Ms. Elkins was 78 years old. Send flowers to express your sympathy and honor Sandra "Kay"'s life. It was noted on October 11th, 2018 that Gale Lynn Belden passed on in Mankato, Kansas. Belden was 71 years old and was born in Red Cloud, NE. Send flowers to share your condolences and honor Gale Lynn's life. It was revealed on October 11th, 2018 that Donald J Wright died in Mankato, Kansas. Wright was 66 years old and was born in Littleton, CO. Send flowers to express your sorrow and honor Donald J's life. It was noted on August 15th, 2018 that Richard Sr Frasier passed away in Mankato, Kansas. Frasier was 94 years old. Send flowers to share your condolences and honor Richard Sr's life. It was noted on June 14th, 2018 that Harold Dean "Mac" McCammon perished in Mankato, Kansas. McCammon was 82 years old. Send flowers to express your sympathy and honor Harold Dean "Mac"'s life. 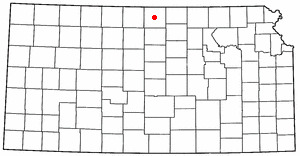 It is the county seat of Jewell County, Kansas County . Mankato is a city in Jewell County, Kansas County, Kansas, United States. The population was 976 at the 2000 United States Census census. . . The official website for the city of Mankato is https://www.mankatoks.com/. Visitation will be 4 - 8 PM Monday and 7:30 - 10:30 AM Tuesday at the Minnesota Valley Funeral Home in New Ulm ... Stan continued his education at Benedictine College in Atchison, Kansas, where he received his bachelor's degree in German. Listing all funeral homes in Mankato, Kansas so you can easily send flowers to any location (same day delivery) or find any funeral service. Find a Funeral Home inMankato, Kansas KS to provide the caring burial and ceremonial services your family deserves. Listing all funeral homes in Mankato, Minnesota so you can easily send flowers to any location (same day delivery) or find any funeral service. We work with local florists and flower shops to offer same day delivery. You will find budget sympathy flowers in Mankato here. Our funeral flowers are cheap in price but not in value.